Knock, Knock, Knock. Do you wanna build a snowman? Come on let's go and play! Yup I'm talking Frozen on the blog today, fear not there's no Elsa and Anna, only frozen food. I've got a compact four drawer freezer in my kitchen and a second huge chest freezer in my garage. I really don't know how I would manage without them. Freezing ingredients at the peak of perfection locks in the freshness until you're ready to use them, preserving them at their most appetising and nutritious. My freezer enables me to buy and cook in bulk, take advantage of the reduced to clear shelf and always have something on hand for a quick meal. Freezing allows us to choose from a vast selection of seasonal ingredients all year round. It can help reduce food waste as you only defrost what you need with leftover fresh food being frozen for another day in individual waste reducing portions. Freezing enables food to have a hugely extended shelf life. If you watched the recent BBC series 'Back In Time For Dinner' you'll have seen first hand how the freezer came into its own in the 1970's as the ultimate labour saving device for the modern housewife. There was plenty of advice for new owners of the initially suspiciously viewed appliance in "Home & Freezer Digest" magazine which in its heyday outsold Good Housekeeping. Its motto was "It's not what the freezer can do for you, but what the freezer free's you to do." Even Mary Berry advised her readers to batch-cook healthy family-friendly dishes and worked to dispel the myth that frozen food was less healthy than fresh. In the introduction to her "Popular Freezer Cookery" published in 1972 she explains how "the food will remain in the condition it was frozen...in a state of suspended animation". The nation's favourite thin and crispy frozen pizza brand Dr. Oetker Ristorante are currently running a Freshness Frozen campaign based on exactly that "suspended animation" concept of locking in freshness through freezing. Frozen food can often be overlooked despite in many cases actually being fresher than many fresh foods. 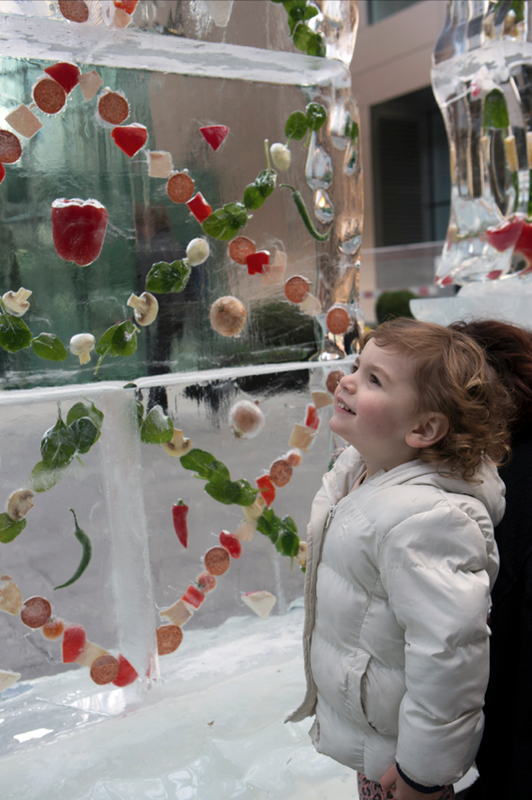 Commuters in central London last month certainly couldn't overlook a pizzeria made from four tonnes of ice which opened outside Liverpool Street Station for one day only. Watch the spectacular creative stunt take shape in the time lapse video below. A stay at the Ice Hotel has long been on my Bucket List but I very much doubt that they have their own ice pizzeria. Crafted from 34 huge blocks of ice, using 3,400 litres of water and weighing an astounding 3.4 tonnes the pizzeria stunt kicked off the PR activity to promote Dr. Oetker Ristorante's #freshnessfrozen campaign which includes the brand's first ever money back guarantee. Each block of ice contained the essential ingredients of classic pizzas suspended within its frozen walls. Passers by couldn't resit touching and stopping to watched in awe as they slowly melted throughout the day. 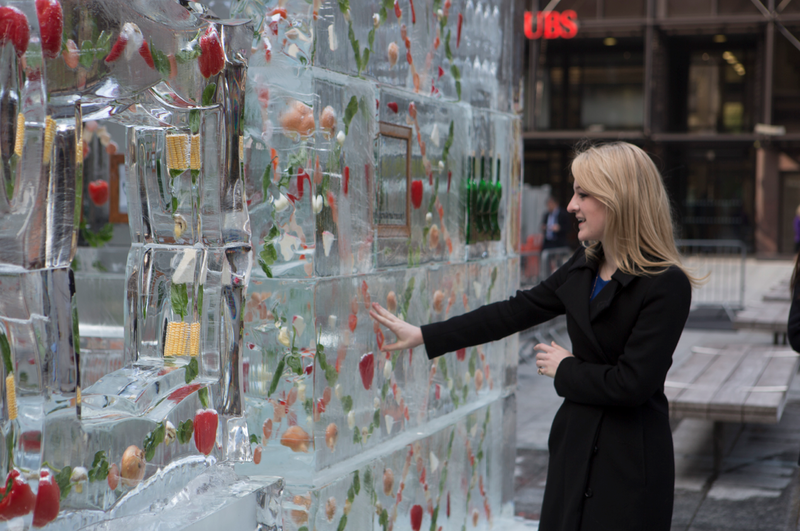 Sculptors worked through the night to create the showcase that promoted the freshness of frozen food. Each block of ice took five days to ‘grow’ to full size the ingredients were painstakingly set into the ice by hand. There were approximately 70 separate items inside each block and all had to be weighed down in the water individually until the ice took hold. They really could have done with Elsa and her icy powers at this point. 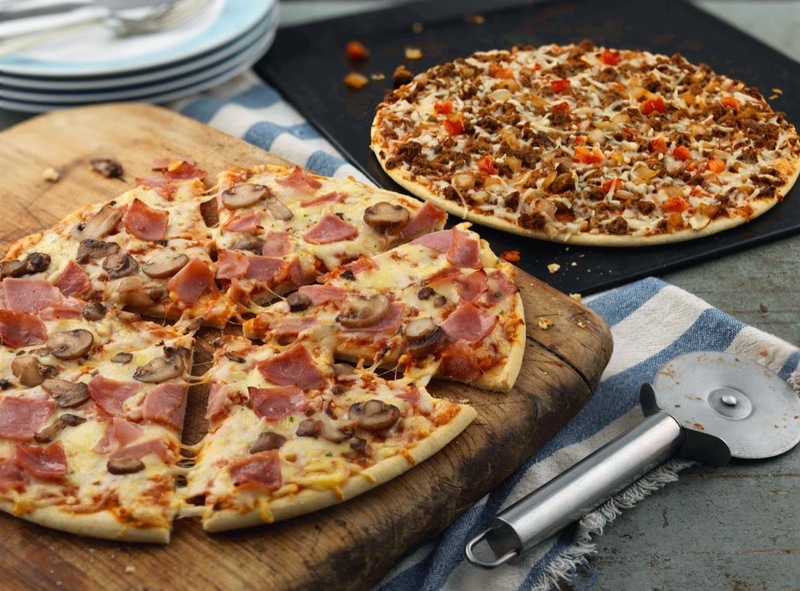 You can follow the #freshnessfrozen hashtag on Twitter @DrOetkerPizzaUK or visit the Dr Oetker Ristorante UK Facebook page to keep up with the campaign. 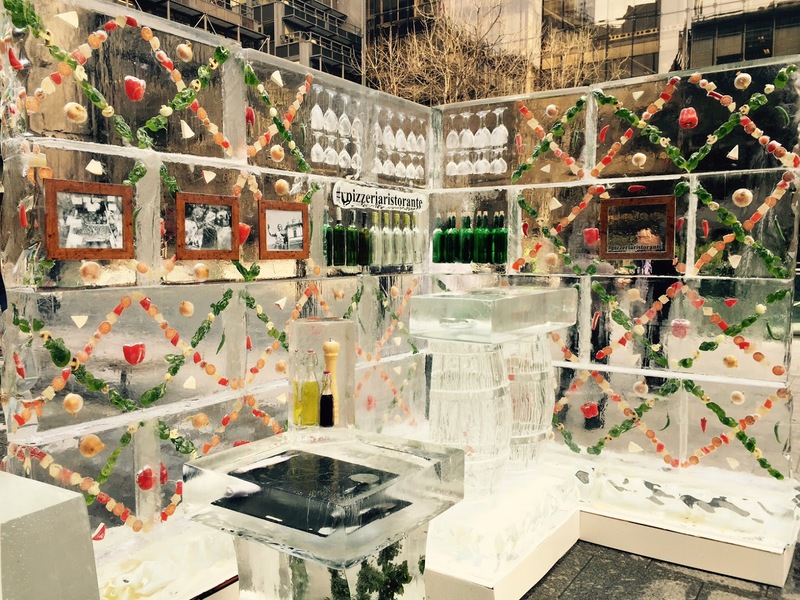 Disclosure - This is a sponsored post for Dr. Oetker Ristorante's #freshnessfrozen campaign. All views expressed are my own. This is my idea of Frozen! Would you believe that I've still not seen it (and I do have 4 year old son!) What a beautiful installation Dr. Oetker has done. Now if only he freezer section in my local supermarket was as pretty. Wow what a super event to attend! Those sculptures are something else entirely! We rely on our freezer quite a lot too, I'd be lost without it. It's a fabulous concept. I love the glasses and bottles that have been frozen in as well. Good to see the video too, I didn't get that for my post. That is absolutely amazing!!! What a wonderful idea. I must admit as much as I know that frozen is just as good for you I do still find myself trying to cook as much fresh as possible. That said, our freezer is choc-a-block at the minute so we are having a week of eating out of the freezer. (Which our bank balance is very grateful for!) Thanks for sharing.